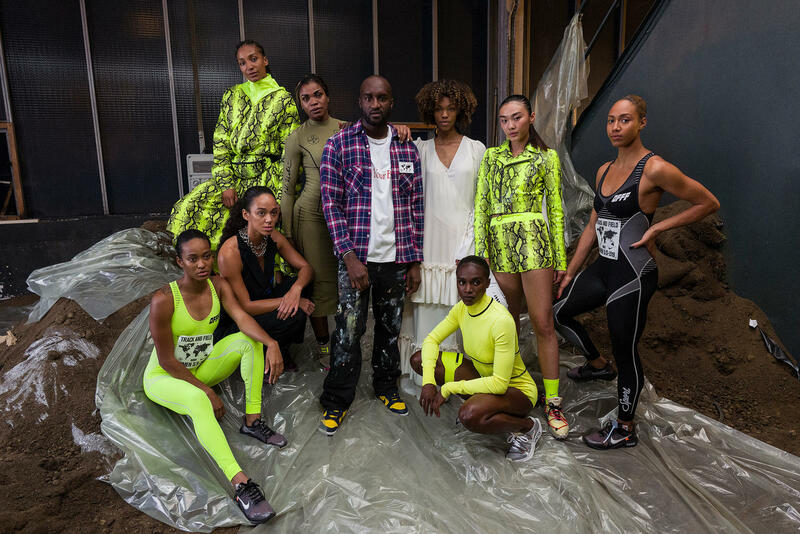 Virgil Abloh's recent Off-White runway show in Paris features Nike track and field athletes, each of whom reflect the energy of sport that fosters fashion's embrace of sportswear. Known for distorting and giving fresh perspective to Nike's most iconic silhouettes, Virgil Abloh's latest collaborative work with Nike takes inspiration from a more human icon: the Athlete. Abloh's most recent Off-White runway show in Paris featured track and field athletes Dina Asher Smith, Vashti Cunningham, Cecilia Yeung, English Gardner, Katarina Johnson-Thompson, Nafi Thaim, Caterine Ibarguen and Rénelle Lamote. Each of these women reflect the inherent energy of sport — an undeniable swagger — that fosters fashion's embrace of sportswear. Nike footwear featured on the runway includes the Nike Zoom Vaporfly Elite Flyprint, Nike Zoom Fly SP "The Ten," Nike Zoom Fly Flyknit and two conceptual designs based on the Zoom Fly and Waffle Racer silhouettes respectively. The new Off-White collection on the runway in Paris, included is a design concept based on the Nike Zoom Fly. The Off-White collection underscores a mutual commitment shared by Nike and Abloh to champion athletes everywhere.